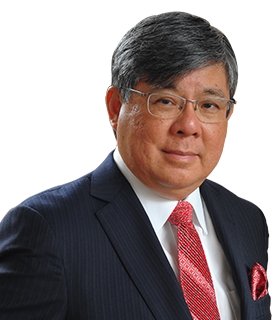 Dato’ Dr Tan Kai Chah, a liver surgeon / specialist specialising in liver transplants, graduated from the University of Malaya, in 1978 and obtained his Fellowship of the Royal College of Surgeons of Edinburgh in 1982. From 1984 to 1987, he obtained advanced training in paediatric surgery in Manchester and Southampton, UK, and further training in paediatric hepatobiliary and liver transplant surgery at King’s College Hospital, London. Dr Tan was appointed Consultant Surgeon and Teacher in Surgery at the University of London from 1988 to 1994. Performed various liver transplant procedures in the UK for both adults and paediatric patients, from the ‘split-liver’ transplant, auxiliary liver graft to five combined liver-kidney and one combined heart-liver transplants, Dr Tan has received many accolades from his peers, patients and their families alike. About 400 liver transplant procedures in the UK under his belt, Dr Tan set up his practice, the Asian Centre for Liver Diseases & Transplantation (ACLDT), in Gleneagles Hospital, Singapore in 1994. Dr Tan was also served as the Director of the Liver Transplant Programme, National University Hospital, Singapore from 1995 to 2002. With Dr Tan at the helm, ACLDT achieved historical milestones in South-east Asia to have successfully performed 200 living donor liver transplants (LDLT) in 2012 . ACLDT was listed on the Australian Securities Exchange in 2009. ACLDT was re-branded as “Asian American Liver Centre” in 2013, and is a wholly-owned subsidiary of the Asian American Medical Group. A visionary, Dr Tan’s skill in LDLT has seen many patients enjoy a new lease of life.